“Moving applications, data and workloads to the cloud exposes enterprises to new threats and risks,” said Rajiv Gupta, Senior Vice President of the Cloud Security Business Unit, McAfee. The company says this solution addresses the most critical enterprise security requirements for Microsoft Azure and empowers customers to build applications on the Microsoft Azure cloud with the peace of mind that their applications, underlying cloud infrastructure and enterprise data are protected. According to McAfee, as organisations migrate from data centres to the clod, they need to take measure to ensure their use of cloud providers, such as Microsoft Azure, is safeguarded. This process is not easy due to many complex security parameters to configure, incidents to respond to and controls to manage, which are different across the various cloud providers. This leaves many cloud implementations vulnerable to attacks, such as those discovered by Skyhigh where the man-in-the-middle (MITM) exposures could be used to penetrate enterprise cloud applications. McAfee solves this problem by providing one Cloud Security Platform that ensures comprehensive visibility and consistent enforcement of security and compliance configurations and policies across multiple cloud IaaS/PaaS platforms. 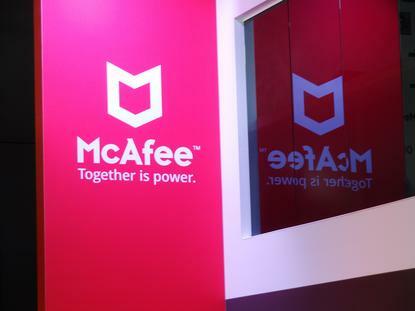 This announcement marks the introduction of the first joint solution following McAfee’s acquisition of Skyhigh Networks, demonstrating the company’s commitment to enhancing its Cloud Security portfolio, which now includes McAfee Skyhigh Security Cloud, McAfee Virtual Network Security Platform (McAfee vNSP) and McAfee Cloud Workload Security (McAfee CWS). McAfee Skyhigh Security Cloud for Azure is available now. McAfee’s vNSP’s support of Azure customers will be available by the end of March and McAfee CWS, including support for Azure became available earlier this year.